We replaced this roof in Crest Hill. The homeowner had hail damage to his roof so we worked with his insurance company to replace his roof. Our skilled experts can handle roofing projects of all shapes and sizes! This resident of Crest Hill had some minor troubles with siding on one portion of the home. Our team did a great job fixing up an area of damaged siding to suit the homeowner's needs. The gable protects the organic structural materials of the home from water intrusion, mold growth and other degradation. This resident needed the gable fixed ASAP! We replaced the missing fascia on the sought side of the house as well as inspected and re-nailed the remaining fascia around the house. Siding repair. We have a trim issue between the siding and faux rock siding we had installed and would like an estimate for repair. 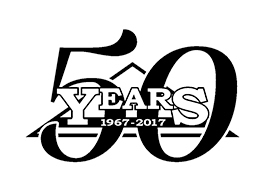 "I appreciated the professionalism, the fast response and..."
Stan's Roofing & Siding has served the residents of Crest Hill since 1967 with a wide range of roofing and siding services. Our employees are professionally trained and capable of installing or repairing your roof or siding quickly and efficiently.